Summer heat is beating down on us in the Houston area. From Galveston to The Woodlands we experience intense humidity combined with blistering heat. Although it can be tempting to crank the AC up, it can be expensive to pay for those large power bills. According to the U.S. Environmental Protection Agency’s ENERGY STAR program, the average homeowner spends $875 on cooling and heating costs alone. Before you bring that thermostat down, consider these 10 low cost, or no cost, ways to keep your house cooler this summer. Pull those curtains closed. Any shade you can add will certainly help block some of the summer heat. Use your ceiling fan. Using ceiling fans along with lowering your AC 2 degrees can save you 14% on your energy costs. Bump up the thermostat during the day when no one is home. You could save hundreds by not cooling your home when it’s empty. Use energy efficient bulbs instead of incandescent bulbs. Modern LED lights can give off virtually no heat compared to incandescent bulbs. 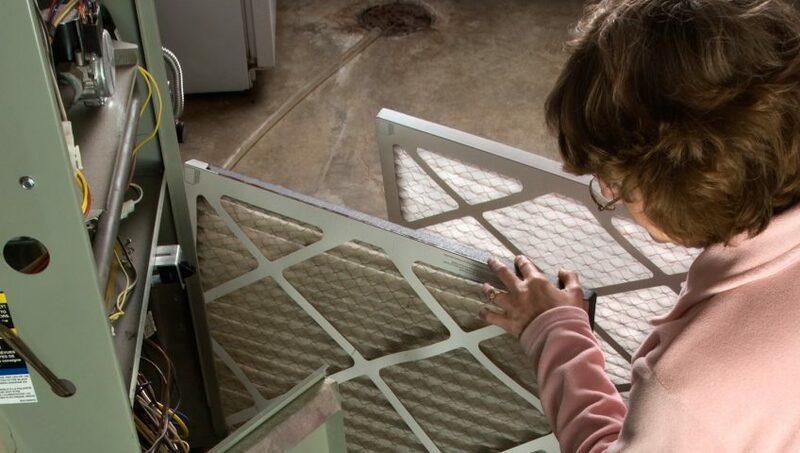 Change your heating and cooling system’s air filter at least every 3 months. The dirtier your air filter, the harder the system has to work. Plant trees that will provide natural shade around your house. Install ceiling fans if you do not already have them. The added circulation will help keep the cool air moving. Ensure that all of your air ducting, vents and registers have a good seal. You could be leaking valuable cool air into the attic, walls or floor of your home. Contact Proline AC and Heating for an annual service inspection. Our team can catch problems early and help you fine tune the efficiency of your AC system. Consider upgrading to high efficiency ENERGY STAR AC units. Proline AC and Heating Services is proud to announce that they are taking on the Goodman line of air conditioning products. After extensive research and comparison, Goodman ‘s air conditioning products have proven to be a reliable, quality product that will offer Proline’s customers a great value. 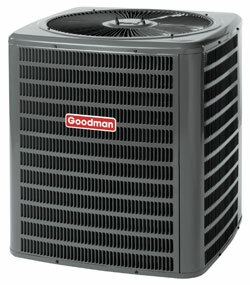 Every Goodman brand product is protected by a limited warranty on all functional parts. To ensure your satisfaction with Goodman brand heating and cooling systems, special warranties are available on select products and components. For example, some Goodman brand gas furnaces carry what we believe to be an industry leading limited warranty coverage on the heat exchangers and specific Goodman central air conditioning systems carry exceptional warranty coverage on the compressors. The Goodman® brand has a central air conditioning system that is perfect for your home — at a refreshingly affordable price. Even on the hottest days of the year, you can keep your home cool and comfortable while enjoying low energy costs with a high-efficiency Goodman brand air conditioner. Don’t choose between affordability, durability, and optimum cooling comfort. Install a Goodman brand air conditioner and get all three — and what we believe to be the best warranty protection in the heating and cooling industry. As you review the various Goodman brand air conditioners, remember that higher SEER numbers reflect the most energy-efficient systems. The state of Texas received more than $23 million in federal stimulus funds from the U.S. Department of Energy to establish and administer an Energy Efficient Appliance Rebate Program the first of its kind in Texas. The Texas Trade Up Appliance Rebate Program encourages consumers to replace old (but functional) appliances and air conditioners with new, energy efficient, ENERGY STAR or CEE qualified models to stimulate the Texas economy and increasing energy conservation efforts in Texas. Which appliances and air conditioners qualify? Texas residents who apply for a rebate must replace an old, but functional, appliance from one of the eligible categories with a new ENERGY STAR or CEE qualified appliance. Texas residents with a valid Texas residential address qualify for a rebate if they follow all program rules. You can qualify for one rebate per appliance category (for instance, you may not qualify for two refrigerator rebates), two appliance rebates per household and two recycling bonus rebates per household from the eligible appliance list. Proline AC and Heating Services, of Houston Texas, is excited to begin offering this great promotion to their clients. For information on upgrading and improving the performance of your residential air conditioning unit, call Proline at 832-326-2242, or visit their website at www.AirConditioningHouston.com.